The Healing Channel: Tired of Being Zapped by Energy Vampires? Tired of Being Zapped by Energy Vampires? Want to know how to deal with people that zap your energy aka Energy Vampires? 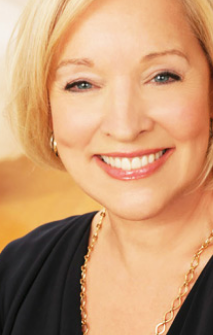 Dr. Christiane Northrup has some excellent practical tips to share when you listen to her interview on the 2017 Hay House Summit. After listening to Dr. Northrup, I experienced an AHA moment in regards to a my full-time job. I am transitioning to another level of employment and couldn’t for the life of me figure out what was holding me back. Empaths tend to collect Energy Vampires in their lives just because we are so sensitive and I was no exception. I knew I was an Empath, I had offered Jin Shin Jyustsu (form of acupressure for over 20 years). However, her message clearly showed me how much of one I was. The other component of being an Empath is being a Rescue Addict and boy did I fit into that category! I have rescued so many people over the years and here I was taking on a whole company! What an impossible task! Dr. Northrup offers suggestions on how to stay in touch with what works for you, while still being able to help others. If you get the chance to listen to one interview, I highly recommend this one. There are only a couple of days left to listen to over 100 professional and qualified speakers for FREE. Hay House Summit is wrapping up on May 23rd. However, if you decide to purchase the summit, Manifest Your Soul’s Purpose Online Course bonus gift is still available but goes way at 11:59pm. If you are driving into work or still at home, perhaps cleaning, organizing some closets, or even gardening, then I encourage you to tune into the Hay House Summit now. Register here so you don't miss out. I know the mass amount of lessons in the Hay House World Summit can be overwhelming, but taking the time to listen to even just one could be the catalyst you need to make a meaningful and positive change in your life. I know my epiphany has sure changed my outlook about Energy Vampires. P.S. On May 25: Hay Foundation Day – Hay House will be donating proceeds from this day’s sales to Louise’s Hay Foundation. You can find more info about it at HayFoundation.org.